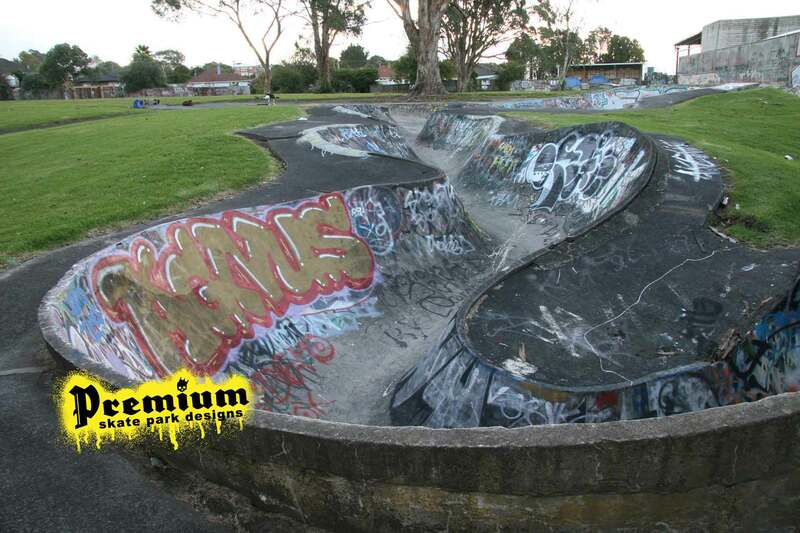 As a lot of the older skateparks start to deteriorate the concrete gets rougher from exposure to the elements and general wear and tear. Cracks start to appear and open up, and you can get a lot of uneven surfaces that might catch a user off guard. A lot of the older parks were not specified with high strength concrete, and these parks become more and more unsafe as rough and uneven concrete becomes a health and safety issue. 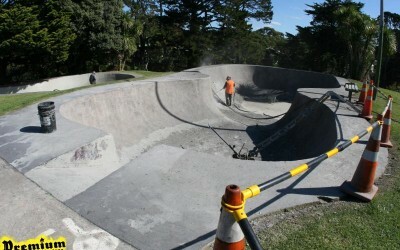 Over the years PSD have been restoring and improving the concrete surfaces of many parks around New Zealand , we can improve the durability of low strength concrete. 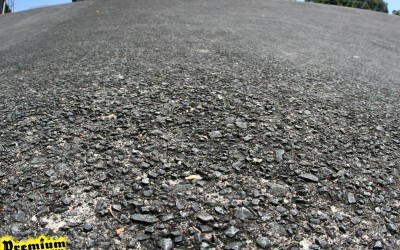 We specialise in crack repair and injection, concrete grinding, and resurfacing. We can even redesign and remodel certain parts of your park that may have been poorly designed – or that are too damaged to fix – improving on the overall design. 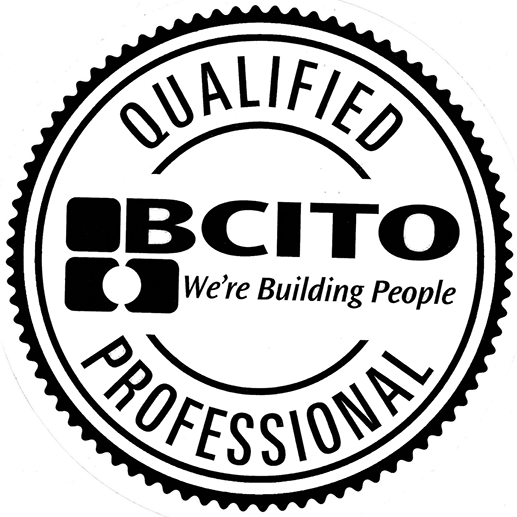 Resurfacing or renovating is a fraction of the cost of building new. 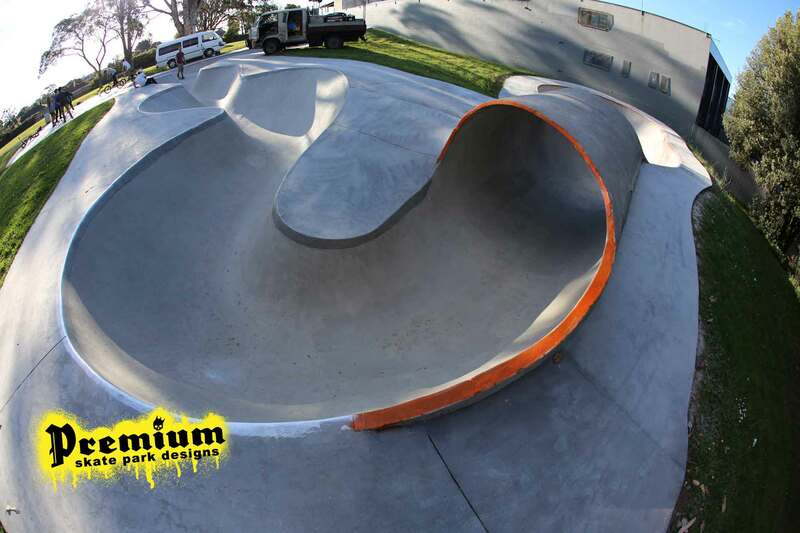 This 1970's iconic skate bowl, received a full surface upgrade from Premium Crew , before Christmas. Click on image for additional images. Giving this classic 70's skate dish a facelift, grinding and sealing the 25+ year old concrete smooth again. This should be stage 1 of a 2 stage project, later on in the year a modern skatepath is planned.